 Heavy duty to handle tough loads.  Small and light enough to move.  Safety skirt around table perimeter. 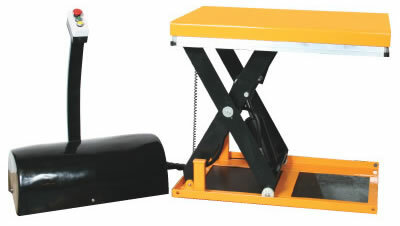 Powered Scissors Lift Table, Scissor Lift Table, Lift Table, Scissor Lift Tables, Ergonomic Scissors Lift Table and Push Button Station from your source for material handling equipment.